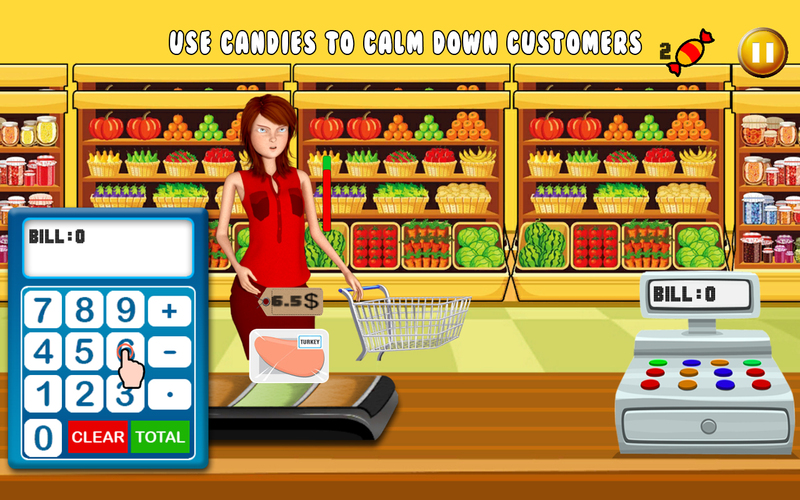 Supermarket Store Cashier – Kids shopping Game is a shopping game for kids. There are many supermarket games, farm cashier games, drugs shopping games, fashion store games you were played before. Now, this supermarket counter cashier game is designed as kids shopping game in different way. 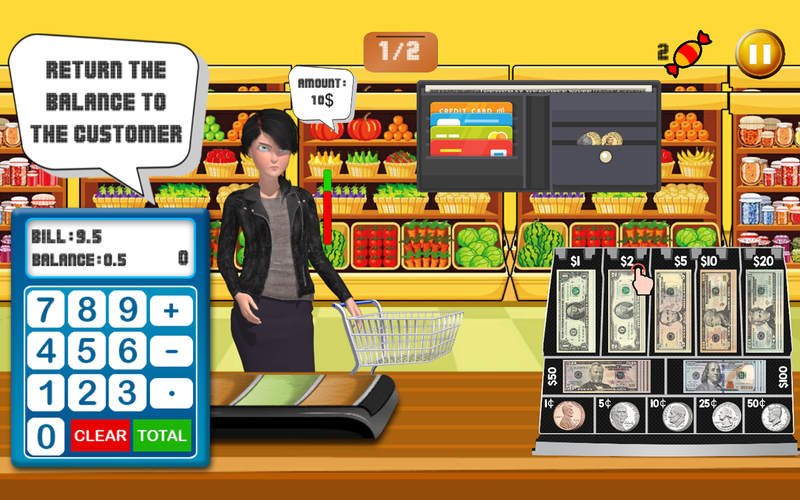 This is the best supermarket store cashier games in all kids games categories like supermarket shopping games for kids, store cashier games, cash register games supermarket shopping games for kids. 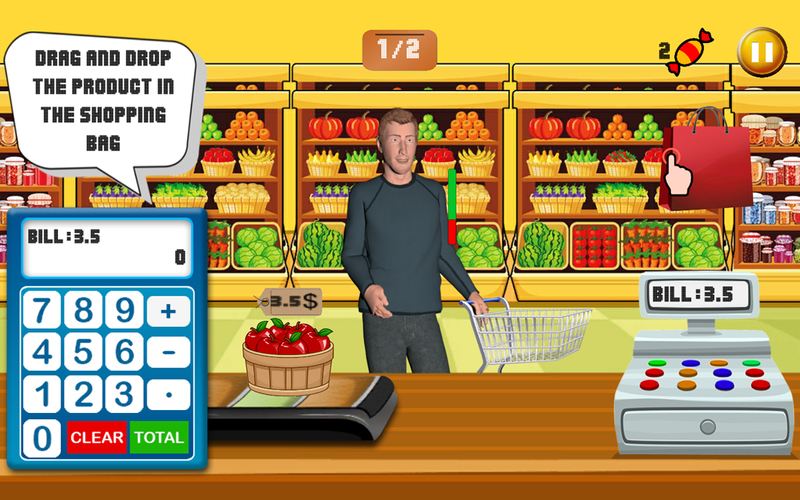 This supermarket store cashier game for kids teaches kids to buy and sell goods. 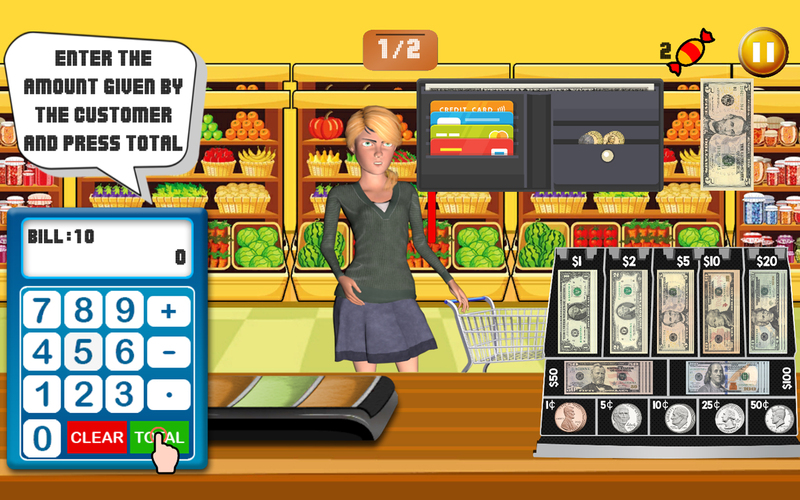 And this supermarket store cashier kids shopping game learn how to deal with money and manage cash register. There are many things to buy in supermarket store and you act like a counter cashier. Run your business as a good business manager, perfect time manger and show supermarket management skills. * Stunning graphics of kids shopping game that take kids interest. * 10 amazing and challenging levels of this kids cashier manager game. * Supermarket counter cashier is time based game. * Easy and kids friendly menu of supermarket shopping game for kids. 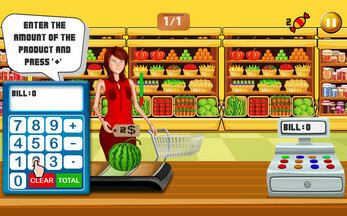 * Beautiful and amazing background music of supermarket game for kids. 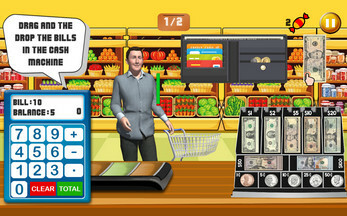 * Smooth controls of supermarket store cashier game. 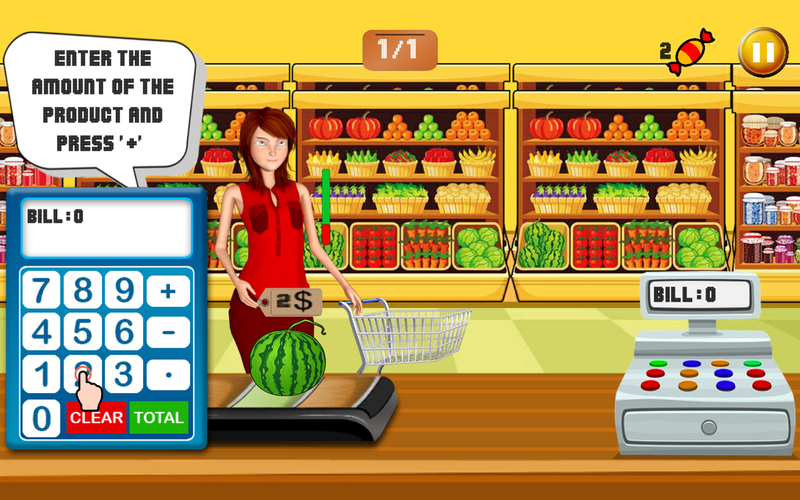 This supermarket counter cashier game tests your mathematics skills and time management skills through this shopping game. This kinds of supermarket cashier games, supermarket shopping game for kids teach kids to deal with money and money conversions. Cash register manager is the caretaker of all the cash transactions passed in supermarket store cashier. Buy different food product like vegetables, fruits, meat, candies and chocolates etc. from the supermarket store. Kids shopping games, supermarket games and Cashier games teach the kids how to maintain cash register, mathematical computations and time management skills. 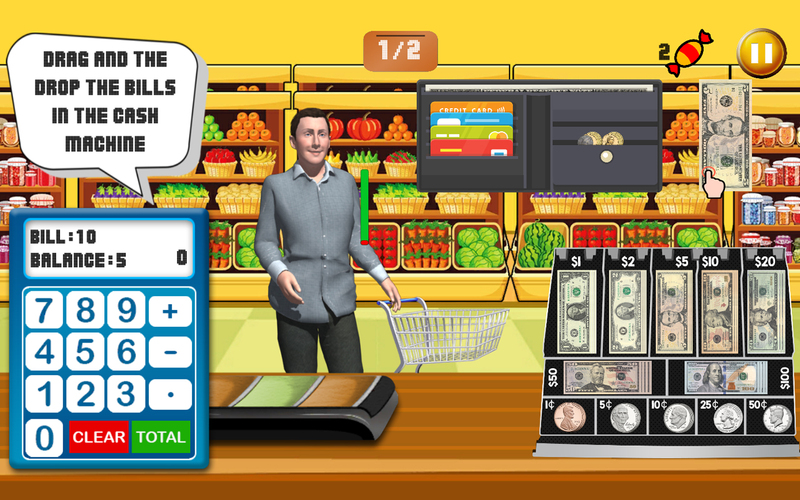 Outstanding and eye catchy graphics that attract kids and gain their supermarket cashier games interest. Supermarket store cashier kids game is very easy to play for kids than other cash register games, supermarket cashier apps and supermarket cashier games. * Follow the instructions and products list to buy in this supermarket counter cashier. 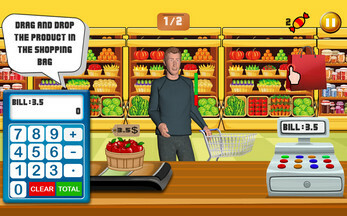 * Compute prices on price tags and collect goods in supermarket store cashier game’s level. 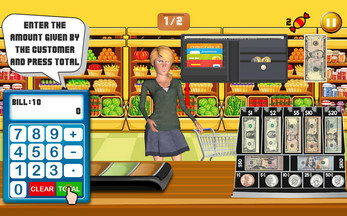 * Pay money after adding products prices and collect money change from your wallet on this kids shopping game screen. * Be hurry you have limited time for complete your shopping otherwise supermarket cashier kids game level failed.